Poos or doodles, to be honest, it’s all the same to us. 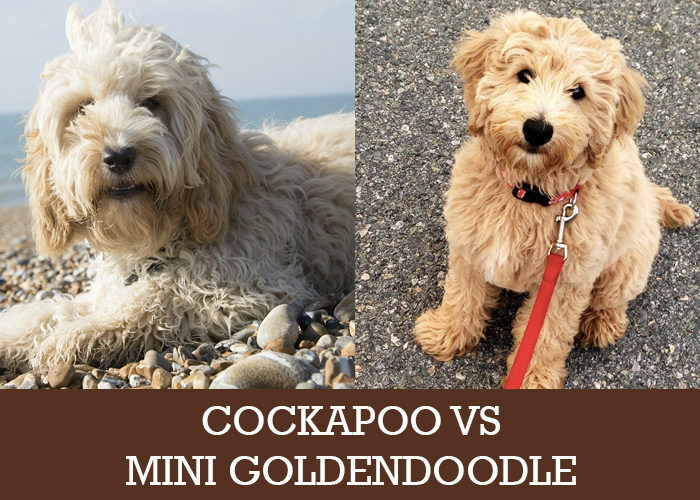 No, we’re not talking about playtime down at the local nursery, we’re looking at the difference between Cockapoos and mini Goldendoodles, popular designer dog breeds. We get a fair amount of questions from readers asking which one is better, and if we had to choose, which one would it be. There’s no straightforward answer. It’s like asking a mum, in front of her children, which is her favourite. In front of them, she’ll say she loves them all the same. Get her on her own, and she might open up a little more, saying she loves little George the most when he’s in a particularly mischievous mood, but she’s got a real soft spot for Lucy when it comes to bedtime, with all the cuddles and loves. It’s the same with Cockapoos and mini Goldendoodles. Depending on what you’re looking for, there’ll be times you might prefer a Cockapoo, and at others, a mini Goldendoodle will be more appealing. So let’s have a look at how cockapoos and Goldendoodles are different. In case you’re not familiar with a Cockapoo, it’s a hybrid mix of a Cocker Spaniel, and a Poodle. 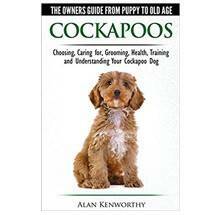 While it’s more commonly referred to as a Cockapoo, other names include Cockerpoo, Spoodle, or Cockerdoodle. 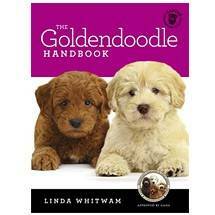 A Mini Goldendoodle, or a Curly Golden, on the other hand, is a cross with a Miniature Poodle and Golden Labrador. The idea behind designer dogs is that they’ll have the best qualities from the two breeds, which is what makes them so popular. What sometimes happens though is because it’s still a crossbreed you’re never 100% sure just what kind of pooch you’re getting. Both are very smart, which makes them good with children and easy to train. They are friendly and loyal, and are perfect additions to the family, even if you already have other pets. They are also great therapy and service dogs. Let’s take a look at cockapoos first. 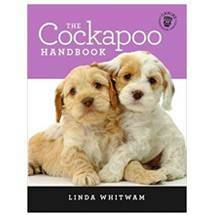 Because you’re mixing a Poodle and a Spaniel, Cockapoos come in just about every colour. Think apricot, sable, chocolate, black, black with white patches, tan and black, red and white…and the list goes on. Goldendoodles are also available in different colours, but are generally golden or honey. Some pups have combinations of colours, but it’s got a lot to do with the breeding and its parents. The original designer dog, the Labradoodle, (a Labrador Retriever and Poodle) was initially bred to create a hypoallergenic dog. Unfortunately, there’s no such thing, but you do get dogs that shed less than others. The good news is both the Cockapoo and the Mini Goldendoodle are low shedders with very little dander. Anyone planning on getting a dog should think about its exercise needs. Again, both the mini Goldendoodle and the cockapoo do equally well in apartments or homes with large gardens. They adapt to their living conditions well, but all dogs need walks on a daily basis, and ball games certainly never did any dog any harm. The Cockapoo and mini Goldendoodle have wavy coats and will require grooming, but your Goldendoodle will need more care. Whereas a Cockapoo needs to be brushed once a week, the ‘doodle will need to be trimmed and stripped regularly. For us, when it comes to choosing either a Cockapoo or a mini Goldendoodle, there’s no favourite. It’s like being offered a milkshake, or a piece of cake…we take both. Cockapoo vs Other Breeds. Which Is Right For You? Cockapoo vs Cavachon: Which is the Best Breed For You? Cockapoo or Labradoodle: Which Dog Breed Is Right for You?